Amazon currently has an offer which is too good to turn down on its own third-generation Echo Dot Alexa-powered smart speakers. 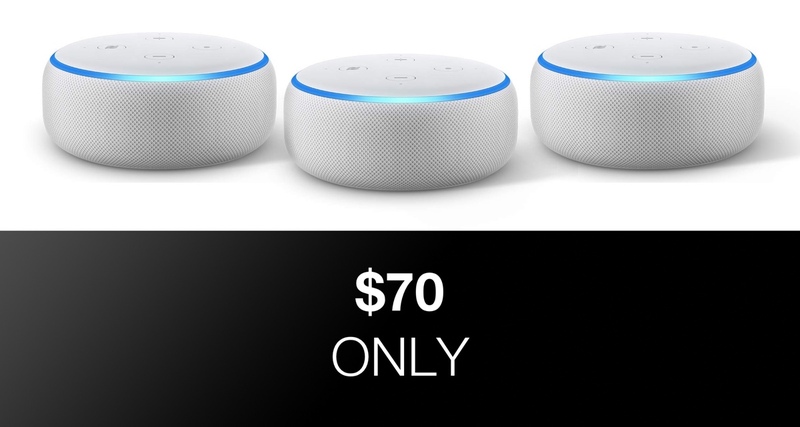 For what is likely to be a limited time offer, you can pick up three of the latest edition Echo Dot units for just $70. The Echo Dot really shouldn’t need any introduction. However, if it does, and you simply are not familiar with the Echo family of hardware or Alexa in general, then allow us to give a quick overview of the product. The Echo Dot is essentially a small and affordable smart speaker which comes with Amazon’s voice assistant pre-installed and ready to rock. 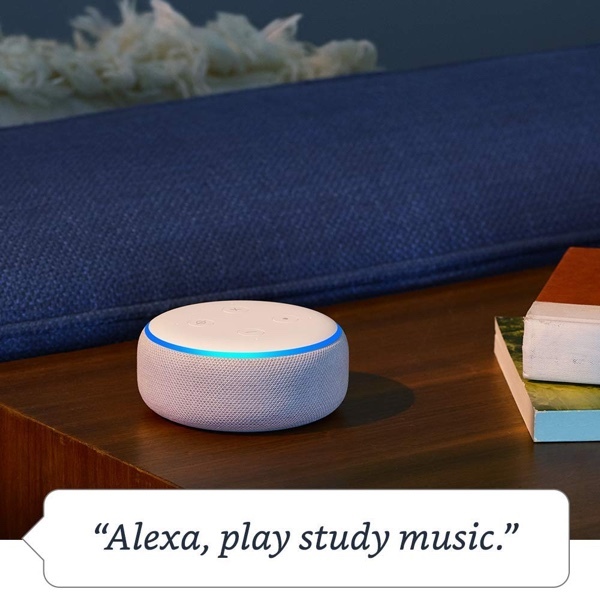 This means that you can play music via voice commands, get answers to life’s tough questions, control home automated hardware in your property by voice, and even order a pizza if you see fit. The Echo hardware also comes with the ability to invoke more than 50,000 skills which have been written and developed by people and companies all over the world. This is essentially the Echo’s application store and means that your hardware arrives with a certain set of capabilities out of the box, but those capabilities can be exponentially expanded via the Alexa app. It’s a great piece of hardware and is growing in strength on a daily basis. And, when you consider that these units usually sell for approx $50 per piece, it makes this deal an extraordinary one that you should really look to invest in when you can. Remember, this deal isn’t going to just show up as a pack of three Echo Dots. You need to add three of them to your cart during the checkout process using the link below. Once you proceed, Amazon will automatically reduce the price accordingly, which will mean that you can get three third-generation Echo Dots delivered to your door at a price which works out at approximately $23.00 per unit. You really cannot ask for much more than that for a voice-controlled smart speaker of this caliber. Jump into action, right now, before it’s too late!